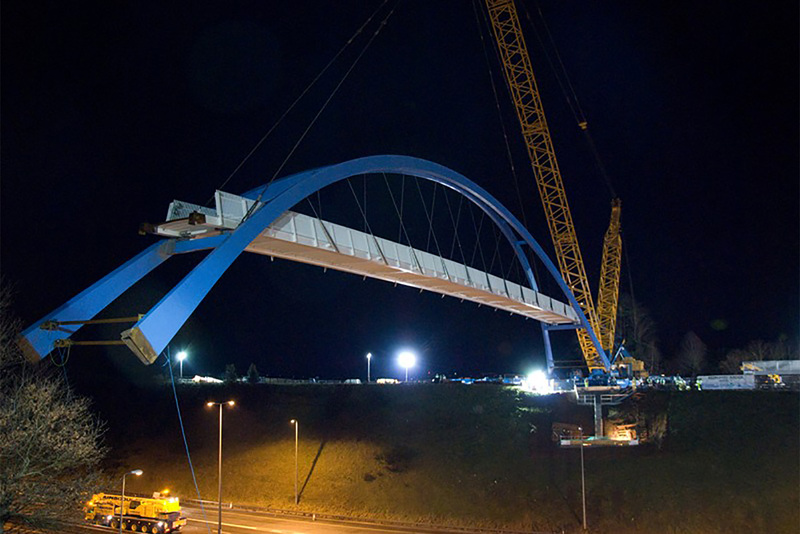 Working with engineers Parsons Brinckerhoff, Design Engine has won the British Construction Industry (BCI) Local Authority Award for Redhayes Bridge across the M5 in Exeter. It was also a finalist in the ‘Small Civic Engineering Award’ and “Regeneration Award’ categories. The £3.75m foot bridge was built by Carillion for Devon County Council and reinstates a former public right of way on an existing east-west route that was lost when the M5 was built in the mid-1970s. The alignment of the bridge is designed to connect separated sections of both the National Cycle Network and the Exeter Walking Map on opposite sides of the motorway, linking the proposed Exeter Science Park to a radial route to Exeter’s City Centre.